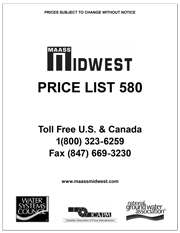 We feel it ist necessary to keep you apprised of Maass Midwest's path to compliance of the AB1953 (2014 No Lead Compliance) Regulation. Our transition to offer quality no lead (less than or equal to 0.25% lead content) products has been in progress, culminating with major changes in our foundry operation in 2013. 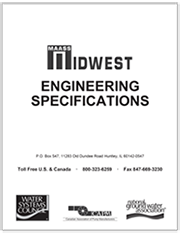 All aspects, including decontamination, tooling, and machining processes, have been addressed. 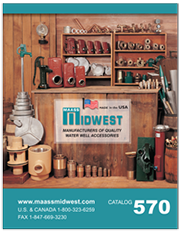 Our company goal was tto begin placing our signature U.S. manufactured products on our warehouse shelves beginning February 2013 with our 530 and 531 check valves, and Dicken and Maass pitless adapters at the top of our priority list.